We all use Google Search for searching information that we want to know although there is Bing Search, Yahoo search available out there. This seems to have an implication on how Google has impacted people’s searching nowadays. Google is the most use Search Engine and I should say that this is the most powerful. Google provides us links of webpages that contain the information that we are looking for in a wider range as compared to other search engines. If you own a blog like me, you might be doing everything possible to get more and more visitors to your blog. In order to get lots of traffics from search engines, your blog must be indexed by submitting blogger Sitemap to Google Webmaster Tools or Sitemap to Bing Webmaster Tools respectively. 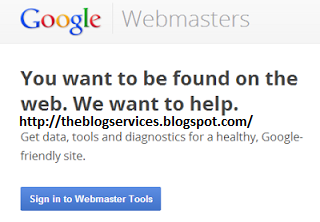 Your blog will be indexed in search engine only when you have submitted your blog to that search engine using Webmaster Tools. A good blog is not just indexed in a single search engine. I advise that you make an effort too of making your site indexed in other search engines. You would love to see your site gain more visitors even from other search engines. 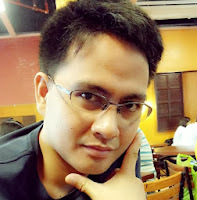 A Sitemap is a XML file that lists the URLs for a site or blog. It allows webmasters to include more information about each URL; when it was last updated, how often it changes, and how important it is in relation to other URLs in the site. This allows search engines to crawl the site more intelligently. It is advisable for all bloggers to submit site for your blog. 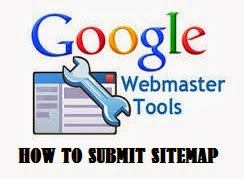 Why it is important to submit sitemap to search engines? Sitemap is important because Sitemap allows you to tell search engines about pages on your blog that are available for crawling. This is particularly more beneficial for blogs where some pages are not available through the browsable interface. So, if some of your posts are not indexed by Google means they don’t show up in Google search, submitting a proper sitemap might resolve this issue. I tried using the code and it did not resolve. Said "page not found". it should be working well, just follow carefully the instructions above, you should be login to your google webmaster and just copy the code on the submit site map "atom.xml?redirect=false&start-index=1&max-results=500" without a quote. yes it works like a charm .